high contrast “trapezoid” design. All steel construction made specifically for the Canik/Tristar front and rear dovetails. 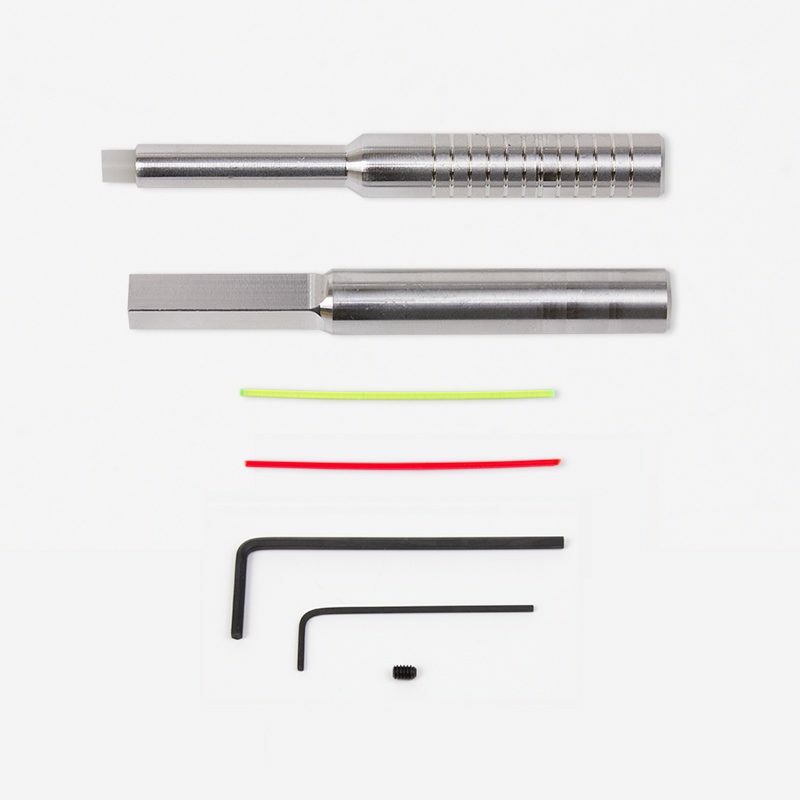 Includes 2 installation punches, spare red & green fiber optic rod & wrenches. Manufactured by Dawson Precision for Cajun Gun Works. There are 2 main attributes to an easy to see and use sight set. One is contrast, the other is light. Cajun Gun Works designed a unique rear sight that uses “trapezoids” for serrations with wider spacing. These trapezoids refract light and create an excellent contrast; your vision instinctively picks up this contrast effortlessly. The second aspect is light. To capture light we made the rear sight depth a little deeper. We also made the front F/O slightly narrower at .100? instead of the typical .125?. This not only affords more front post in your vision, it also allows more light on both sides of the post. The combination of contrast, more sight post height, and increased light on each side of the front sight post makes a tremendous difference acquiring a quick, accurate sight alignment. The result is a breakthrough sight picture for the Canik/TriStar line.